Whether you are brand new to Jim and Pam fanfic and don’t know where to start or an old fan looking to re-read some classics, here are some “essential” fanfictions. 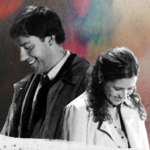 Note: this is the original Fanfic primer, we are currently looking to update this list as well as to get a non-Jim/Pam Office fanfic primer going. Please visit the forums for more information and to get involved in updating this list!